As many as 200,000 New York City apartments could be missing from rent regulation as required by law, according to figures released by the state’s housing agency. Since the 1990s, New York City has published, and public officials have quoted, an estimate that there are 1 million rent-stabilized apartments in the city, giving some 2 million tenants protections from eviction and unlimited rent increases. The estimate comes from the city’s Department of Housing Preservation and Development, or HPD, which publishes a survey on which the number is based. 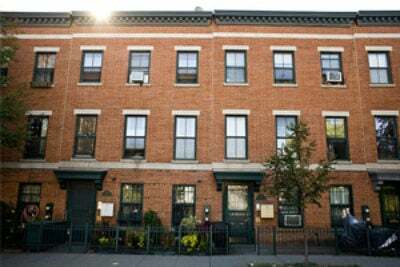 Rent-stabilized apartments are vital to affordable housing and thus an important gauge of the housing market. There’s one problem with the figure, however: It could be off by as much as 20 percent. Data provided to ProPublica by the state’s Division of Housing and Community Renewal (DHCR) — which oversees rent-stabilized apartments — shows that, as of 2014, New York City had 839,797 rent-stabilized apartments registered with the state. For that same year, HPD’s survey estimated 1,029,918 units. The difference of close to 200,000 units, or about one-fifth of HPD’s estimate, indicates that a large number of city apartments aren’t actually rent stabilized when they should be, putting tenants at risk of overcharges or illegal evictions. As part of a continuing investigation into oversight of New York City’s rent laws, ProPublica reported in November that landlords had failed to register 50,000 units for rent stabilization as required in exchange for receiving city property tax breaks worth over $100 million each year. 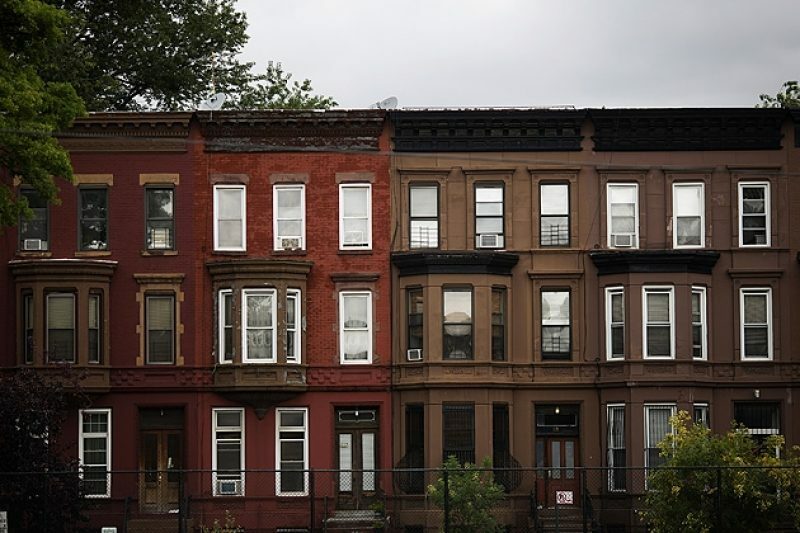 The 200,000 figure also covers apartments subject to rent stabilization under a separate requirement that applies to buildings with six or more units constructed before a 1974 state overhaul of rent-stabilization laws. Asked about the gap between the estimate and registrations, the state DHCR cited the potential for statistical error in HPD’s survey. But the city said the primary explanation is that not every building owner who should register with DHCR does so. HPD said it is working with the state to boost compliance. HPD’s survey methodology blames the unregistered units in part on the fact that lawmakers in 1993 reduced the penalties for not registering. To adjust for that, the survey counts both units that are and should be registered as rent stabilized. The exact size of the registration gap is unknown. But housing advocates told ProPublica that margin of error in the survey — plus or minus 34,000 units, according to the latest estimate — isn’t big enough to bridge the difference. The Rent Stabilization Association, which represents property owners, said in a statement that it is “concerned about lack of registration because of the potential liability owners may incur.” The group said it provides a registration service for landlords to help them comply with the law. Failing to comply with rent stabilization rules can expose landlords to overcharge claims, which can go as high as triple the amount of the overcharge. In cases where the landlord is also receiving tax breaks to provide rent-stabilized housing, they risk losing the benefit — although such revocations are rare. Older apartments covered by the 1974 rent-regulation overhaul appear to be the biggest part of the problem. Chris Henrick, creator of AmIRentStabilized.com, a website that helps tenants figure out if their units should be registered, said his analysis found 11,922 of these older buildings that weren’t registered with the state’s DHCR as of 2013. Landlords often take these apartments out of rent stabilization illegally — for example, by falsely claiming that the rent has crossed a threshold, now $2,700, when landlords can begin charging market-rate rents. Unless a tenant complains, the apartments are likely to remain missing from the rent-stabilized count. The scenario is especially acute in rapidly gentrifying neighborhoods like Brooklyn’s Bedford-Stuyvesant, where a landlord’s recent attempt to illegally take apartments out of rent stabilization prompted city Council Member Robert Cornegy to host a meeting with tenants to help them seek legal advice. “We know that for some people it’s affordable to pay $2,500 [a month] or $3,000, but when it’s illegal, it’s still not affordable,” Cornegy told tenants gathered at the early December meeting. As ProPublica has reported, the city has been aware of the problem of missing registrations for years but failed to address it. Stephen Werner, an analyst at HPD who helps put together the agency’s triennial housing survey, noticed the registration gap 20 years ago, but higher-ups ignored his warnings. Werner, who also has estimated 200,000 units were missing from rent stabilization, said he feels “vindicated” by the state’s release of the summary registration data, which came in response to a ProPublica request to DHCR. The data on rent-stabilization normally isn’t public; state law explicitly prohibits disclosure of apartment registration data. “My numbers are now really being shown to be valid,” Werner said. Regulators have begun to tackle the problem. In the biggest move to date, Gov. Andrew Cuomo announced on Wednesday the state would target owners of 50,000 apartments who had accepted a tax break known as J51 but then wrongly claimed to be exempt from rent stabilization, as required by law. City regulators haven’t enforced a 2007 law that requires doormen, janitors and other service workers at taxpayer-subsidized apartment buildings to be paid wages comparable to union rates. Read the story. HPD Commissioner Vicki Been recently acknowledged that enforcement has been lacking and vowed to step it up. City legislators also announced efforts to fix the problem. In early December, Council Member Ben Kallos introduced legislation that would require landlords to register with the city as well as the state. The proposed law would impose fines for failing to register. “It is a problem that not only can be fixed but must be fixed," he said.